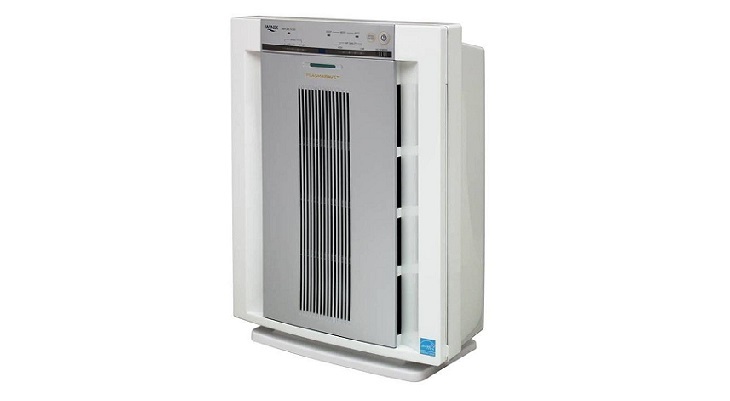 The R600 uses Airpura's SPEC-A Design which allows for Simplified, Powerful, Effective, and Cleanest Air. Because the air flows directly over the R600's filters to the exterior, this allows for lower air turbulence and noise reduction. Unlike other air purifiers which blow clean over the motor and recontaminate it, the Airpura R600's motor and electric parts are situated away from the airflow. Variable speed controls allow you to set the unit at near-silent operation, or at optimum CFM for heavy indoor pollution levels, and two micro-suppress filters control bacteria and viruses around the carbon bed. 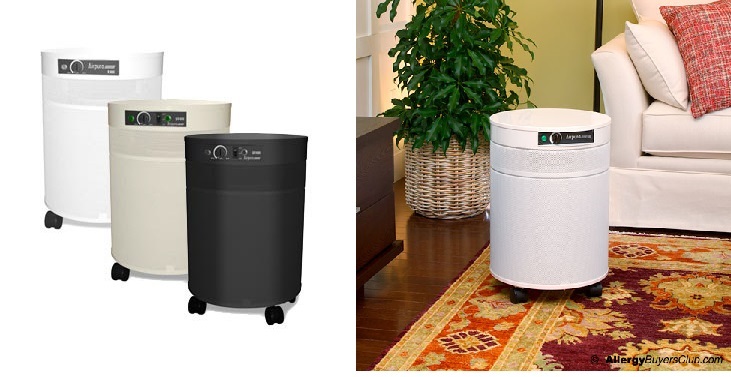 In addition, because the R600(Cream) uses powder coat steel mesh housing and felt gaskets, no plastic vapors or off-gassing occurs, making it the perfect choice for those suffering from allergies, asthma, multiple chemical sensitivity, or sensitive lungs. A unique pressure seal ensures that allow impurities pass through the filters, and this prevents pollutants from passing through. Nevertheless, one of the most important features of the R600 (Cream) is the fact that it is environmentally sound. Almost 93% of the Airpura R600 (Cream) is recyclable, and its refillable carbon canisters are all metal and built with galvanized steel to avoid corrosion. These design considerations help reduce environmental waste and operating costs. 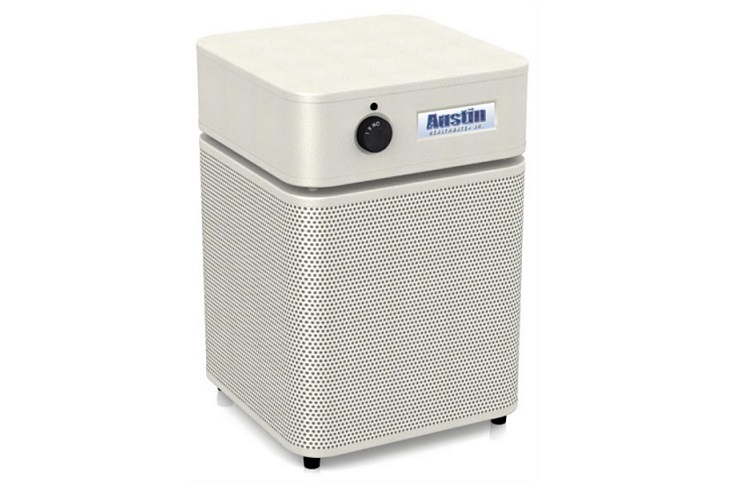 Dimensions: L: 15" x W: 15" x H: 23"
The Austin Air Purifier HealthMate Jr Plus Sandstone (HM-200+) home air purifiers are a ''souped-up'' version of the HealthMate Jr. While Plus systems have the same HEPA filter, the adsorption media has potassium iodide (KI) added to the activated carbon-zeolite mix. This 6-pounds of media allows the air purifier to address the needs of people suffering from MCS (Multiple Chemical Sensitivity) in addition to addressing the symptoms of allergy and asthma sufferers. Product Dimensions: L: 11" x W: 11" x H: 16.50"
HEPA Filter: traps 99.97% of particles 0.3 microns or bigger. Dimensions (L x W x H): 7.75" x 13" x 15"
The Winix WAC5500 PlasmaWave HEPA air purifier has a three stage air cleaning system to give you the purest air for up to 350 sq. ft. The Energy Star qualified Winix WAC5500 features a sanitized antimicrobial finish to provide extra freshness. Dimensions (L x W x H): 16.30" x 8.50" x 21.70"